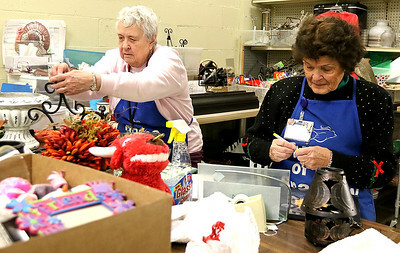 H. Rick Bamman - hbamman@shawmedia.com Sparrow's Nest volunteers Joyce Sjostrom (left) and Liz Winberg both of Fox Lake price donated items Monday, Dec. 12, 2016 at the thrift store and donation center in McHenry. The end of the year typically means a surge in charitable donations for nonprofits. 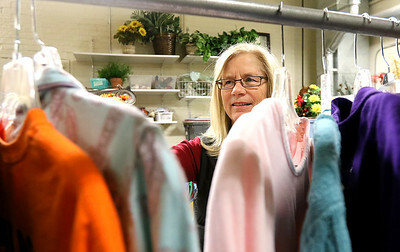 H. Rick Bamman - hbamman@shawmedia.com Sparrow's Nest volunteer Lisa Bauman checks clothing for price tags before taking them to the sales floor Monday, Dec. 12, 2016 at the thrift store and donation center in McHenry. The end of the year typically means a surge in charitable donations for nonprofits. H. Rick Bamman - hbamman@shawmedia.com Sparrow's Nest area manager Cournelia Trzaska. 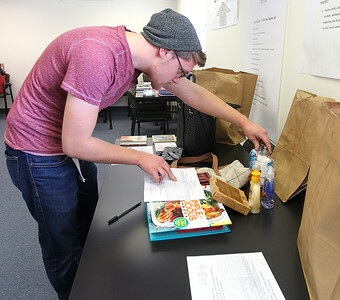 H. Rick Bamman - hbamman@shawmedia.com Home of the Sparrow holiday helper Dylan Eddy of Wonder Lake prepares items for the Adopt a Family program at the organization's offices in McHenry. 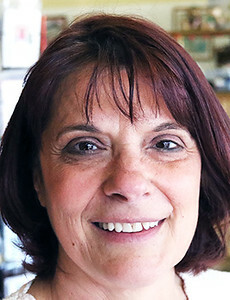 The end of the year typically means a surge in charitable donations for nonprofits.